The Tameside Macmillan Unit offers treatment and support services for Tameside and Glossop residents diagnosed with cancer. Despite the need for a non-clinical feel, the facility needed to incorporate durable finishes that would be easy to clean and maintain. 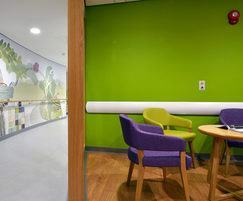 CS Acrovyn wall protection solutions were specified for the waiting areas, clinical areas and the disposal hold. 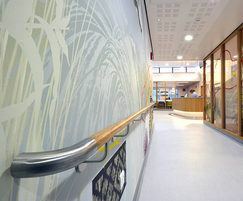 In public access areas requiring support for frail patients, CS supplied its stylish HRWS6C timber handrail in oak, with stainless steel brackets and end caps. 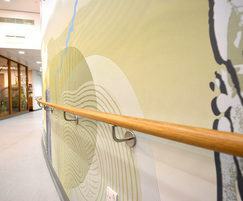 The handrail was formed into a curve to fit the line of the walls. 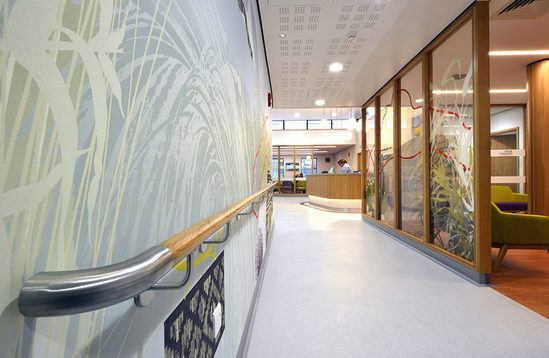 Acrovyn crashrails and corner guards were also installed in the waiting areas and some clinical areas, offering heavy-duty protection for the walls and corners. 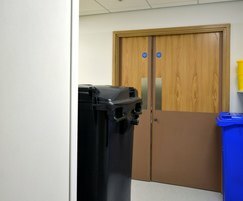 CS Acrovyn Textured sheet was supplied for the disposal hold area, to protect the full height of the walls from bumps and scrapes from trolleys and bins. 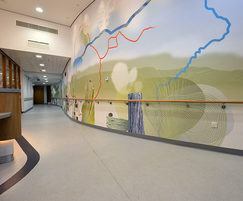 All products were installed by Conspec Contracts, the company's in-house installation team.